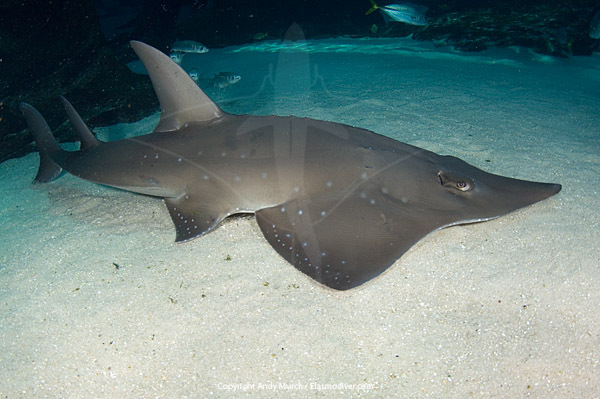 Whitespotted shovelnose ray pictures. Images of Rhynchobatus australiae the white spotted guitarfish or shovelnose shark. 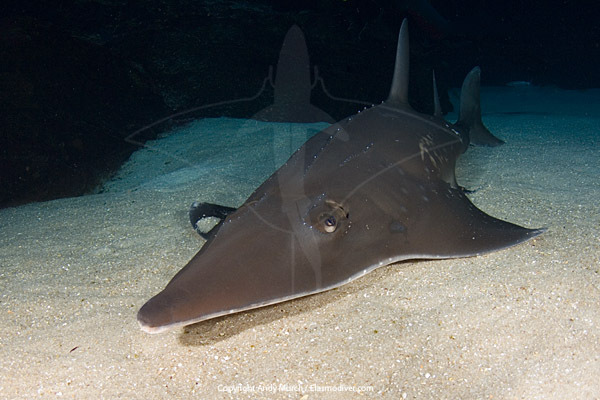 These whitespotted shovelnose ray or white-spotted guitarfish photographs are available for commercial licensing or as archival quality prints. For further information please contact elasmodiver.